Calendar is approximate. 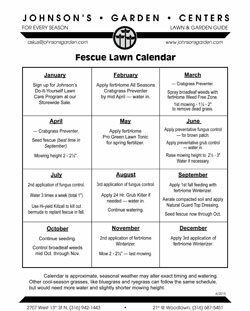 Seasonal weather may alter exact timing and watering. 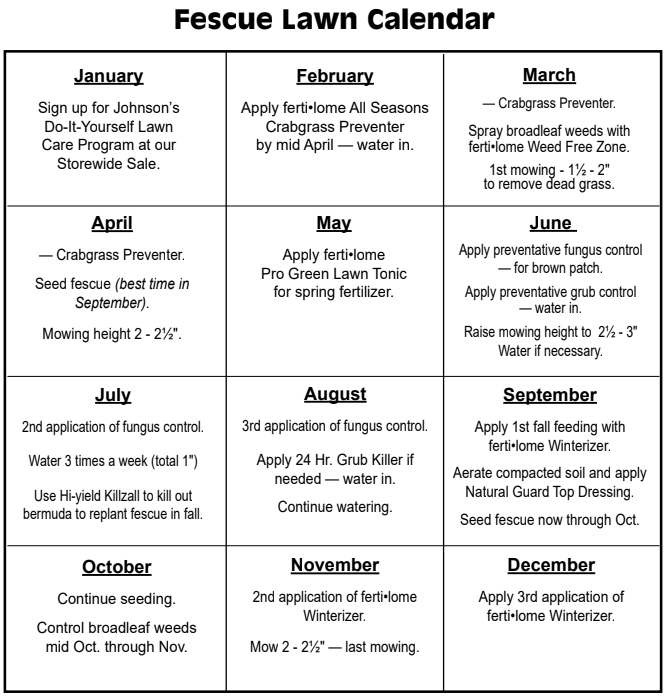 Other cool-season grasses, like bluegrass and ryegrass can follow the same schedule, but may need more water and slightly shorter mowing height.